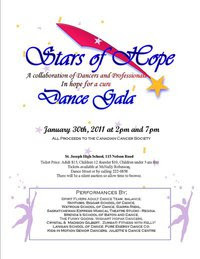 On Sunday I am performing in a dance gala for cancer. If you live in or near Saskatoon and would like to come click the photo above to view the Facebook page for the event. I hope to see you there!